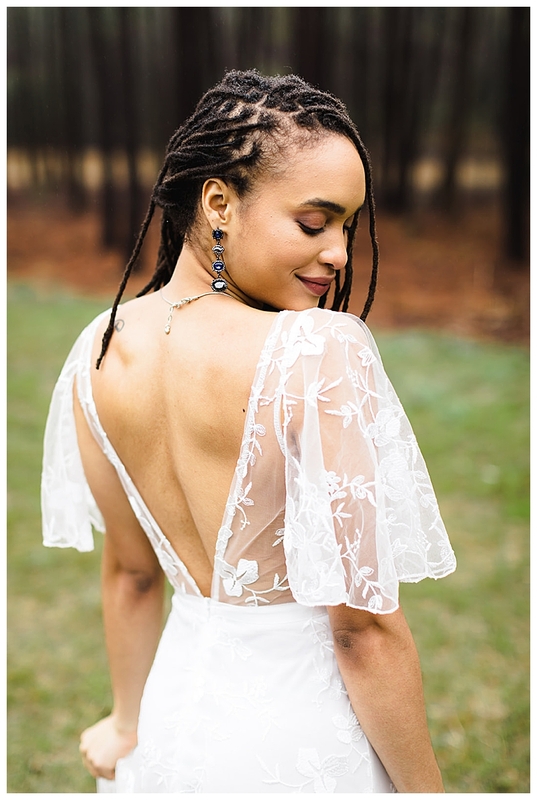 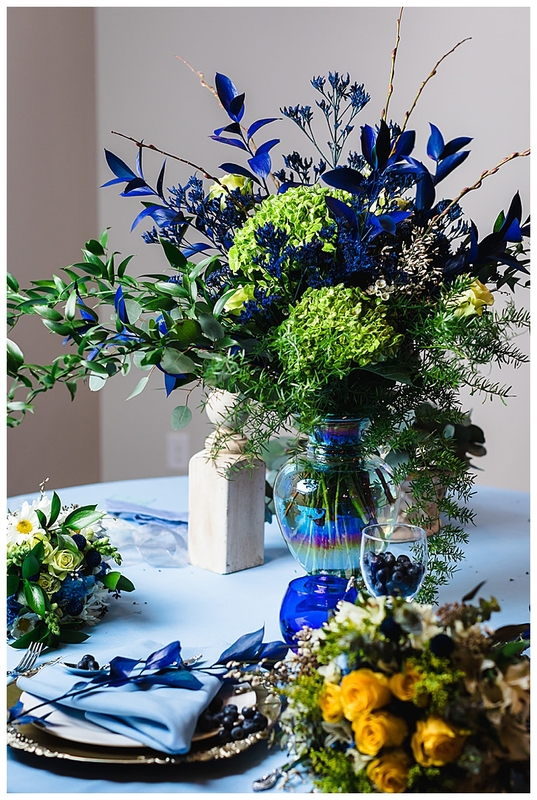 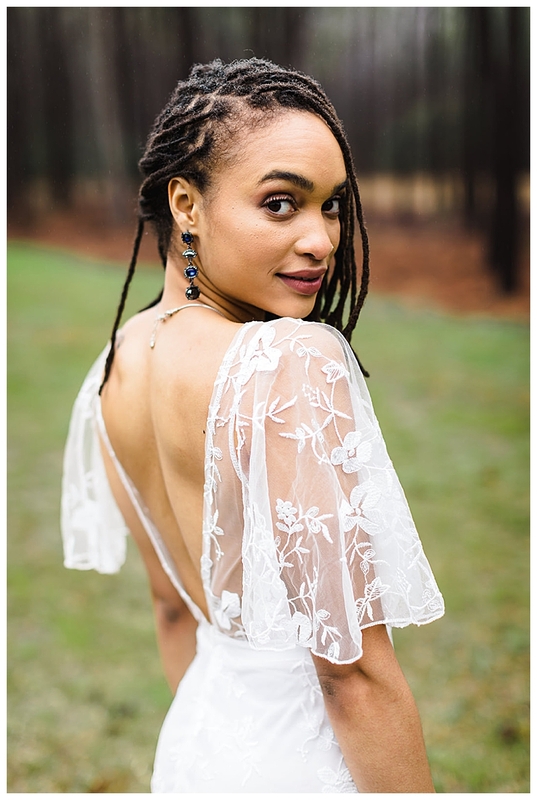 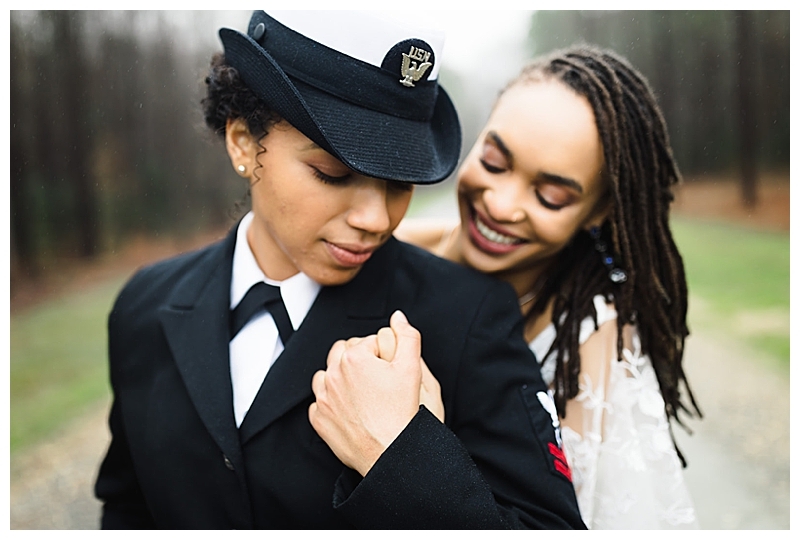 Alycia and Alex, a real-life couple who met in biology class, were able to have their love celebrated in a session put together by a team of Charlottesville, Virginia creatives. 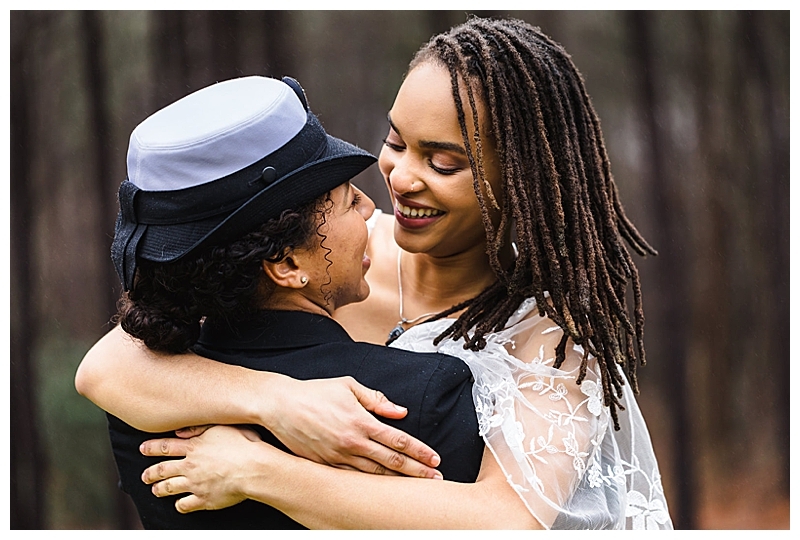 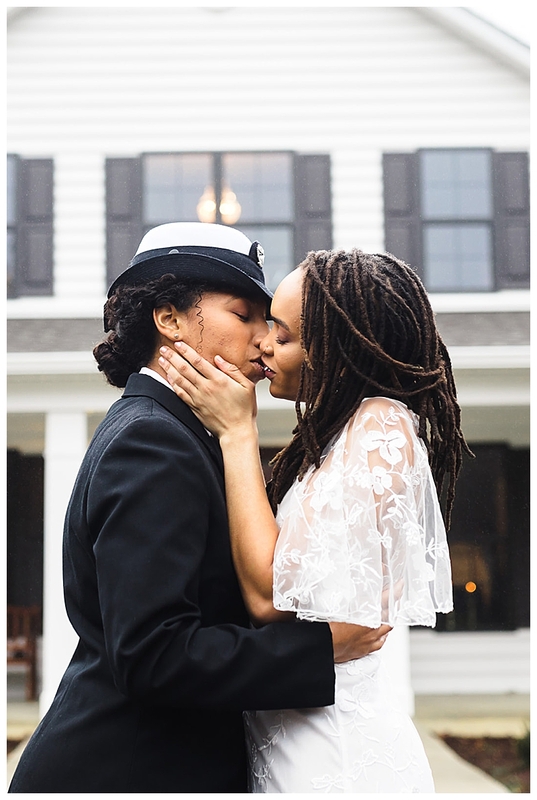 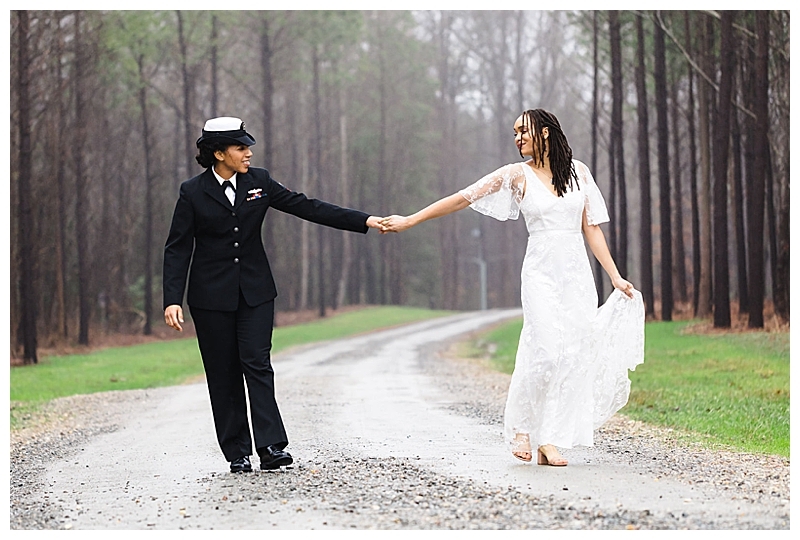 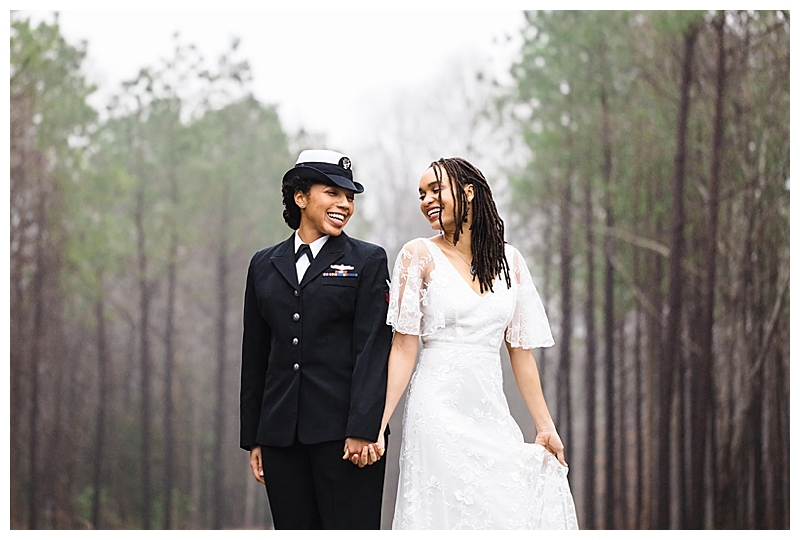 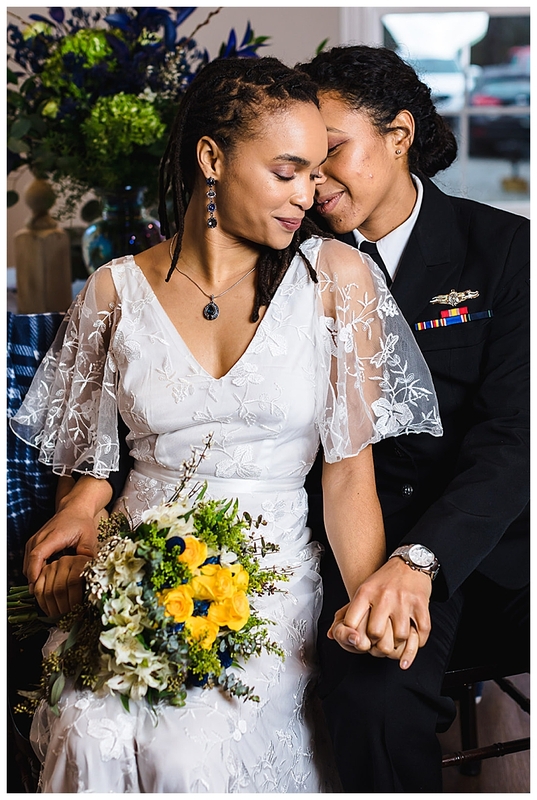 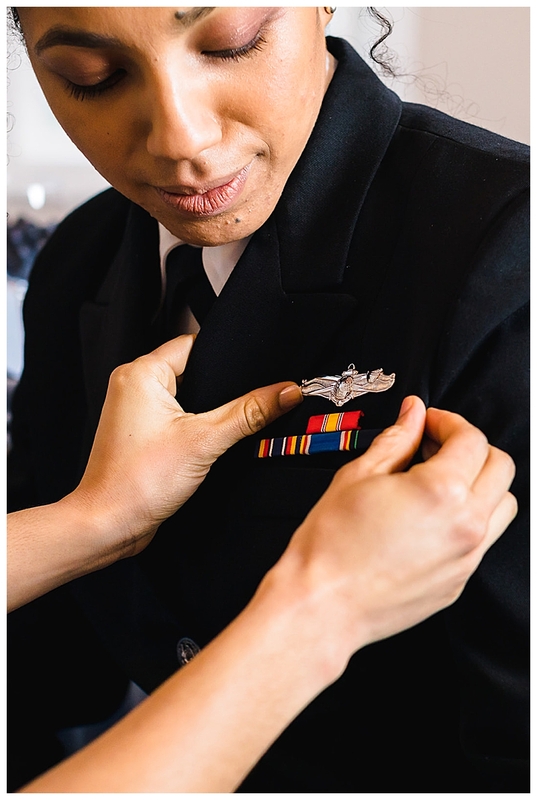 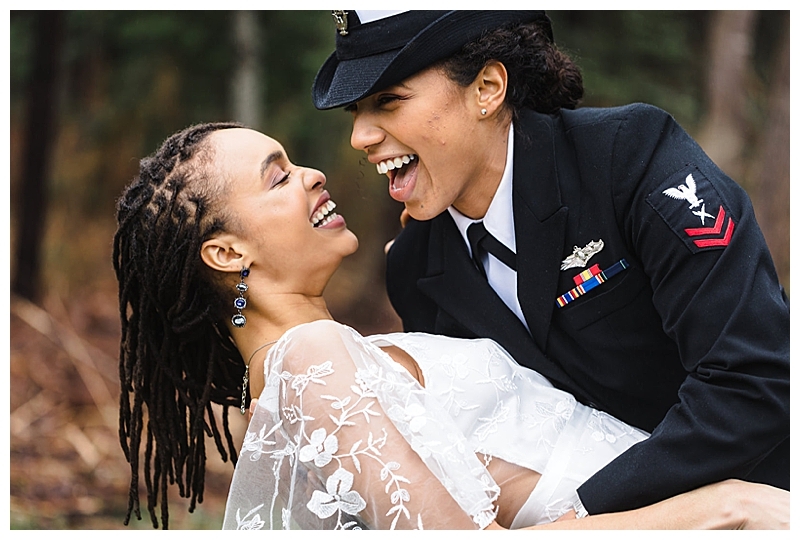 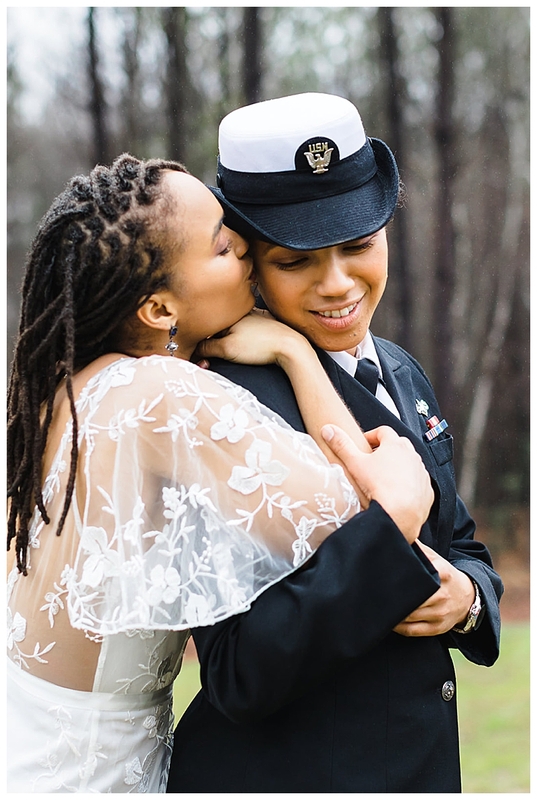 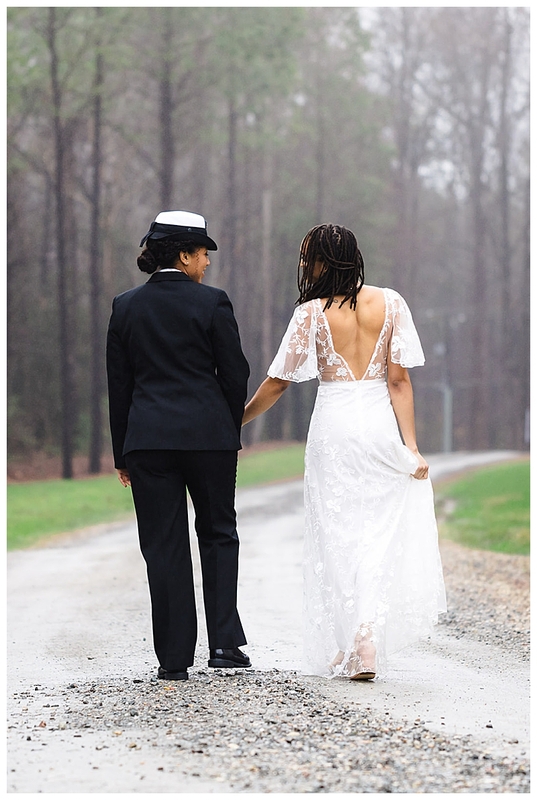 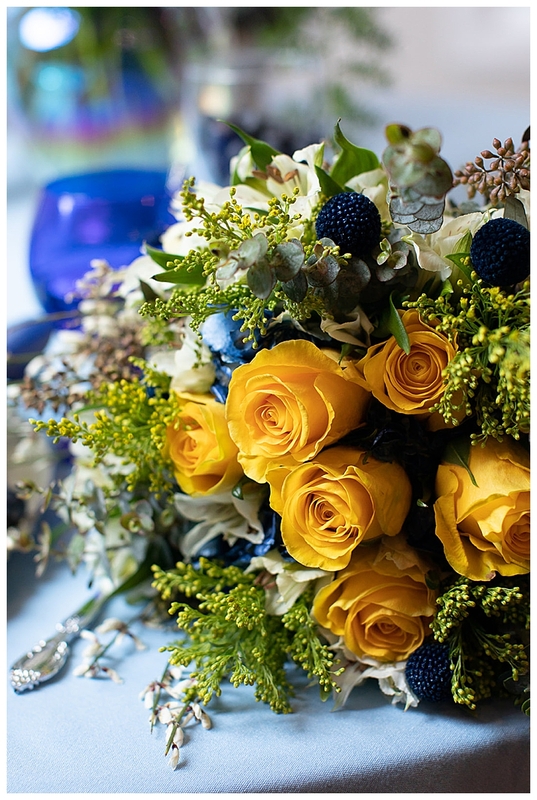 Alycia wore her Navy uniform with pride as she shared kisses with her love, amongst blue details and a rainbow wedding cake. 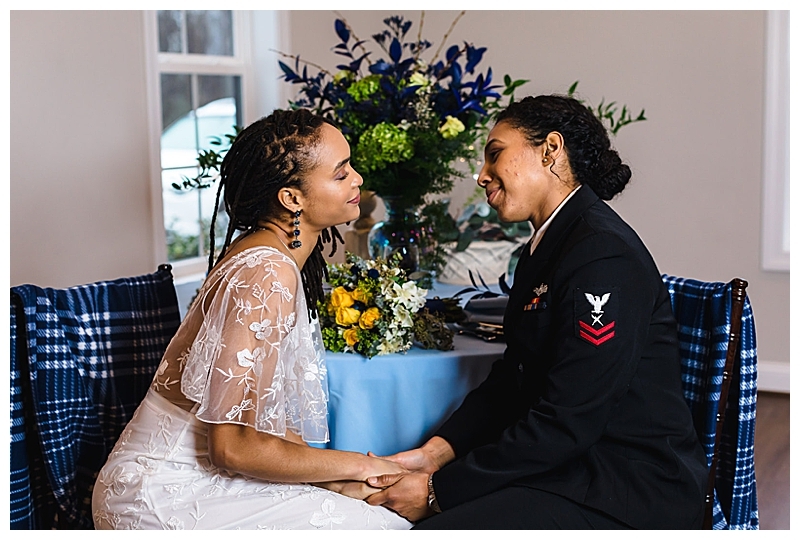 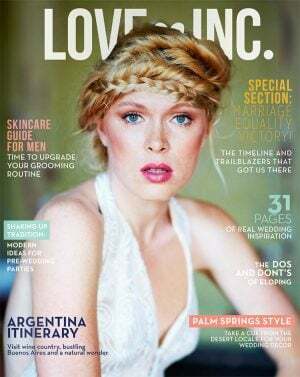 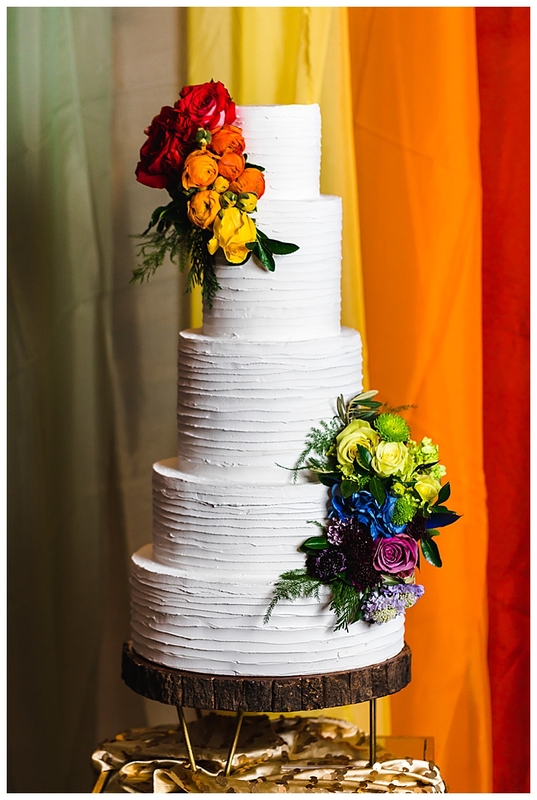 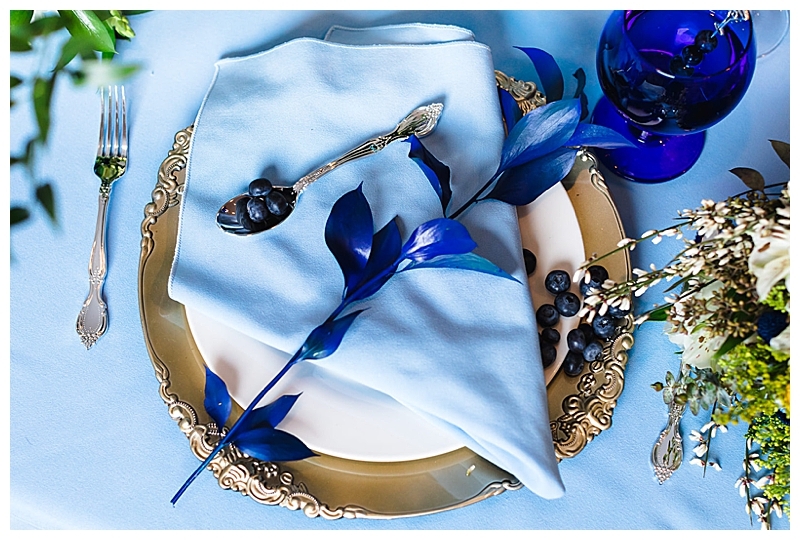 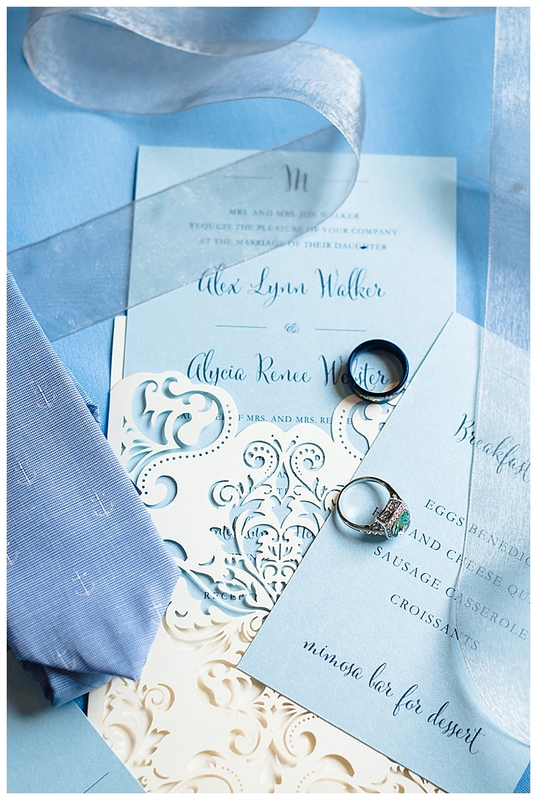 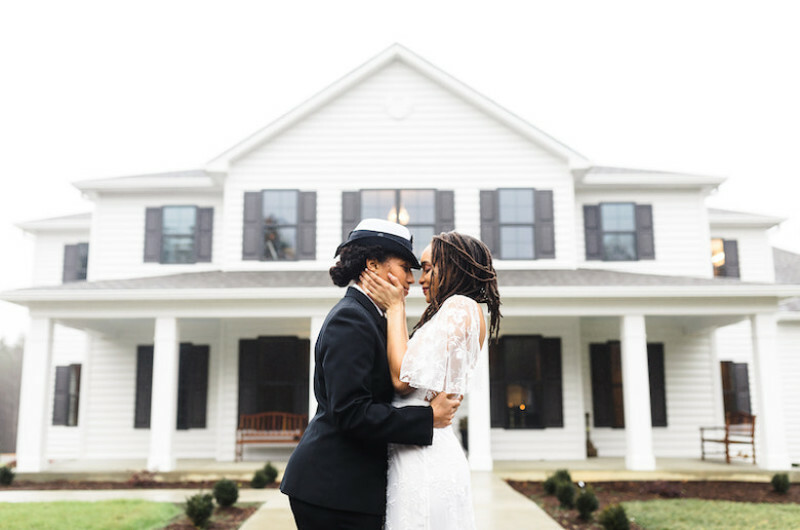 Find more LGBTQ-Inclusive Wedding Pros!